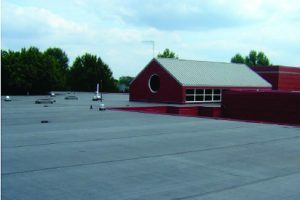 We offer a range of single-ply and liquid flat roofing systems for new build and refurbishment projects each catering for different product, customer and specification demands. 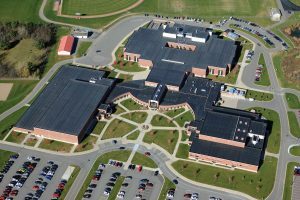 The single ply sector includes PVC, TPO, TPE and EPDM systems. These are becoming increasingly popular in both new build and refurbishment projects in the UK. 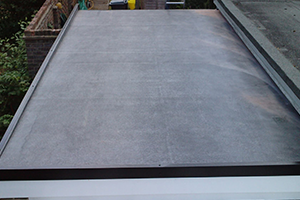 This has been bought on by increased availability but also in the inherent benefits that single ply membranes offer over more traditional systems. 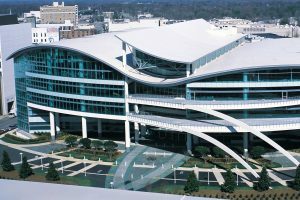 Lighter & More Sustainable, FleeceBack membranes generally weigh less than a quarter of asphaltic-based systems and consumes far fewer natural resources than asphalt systems. Factory-Applied Tape, applied in a factory-controlled setting that results in increased quality, reliability, and seam performance, Factory-Applied Tape also provides the fastest and easiest way to create a seam between two single-ply membranes. Weathering Package, Xenon-arc and long-term heat aging tests show that Sure-Weld TPO exceeds the highest industry standards. 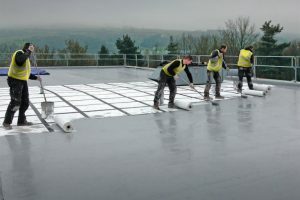 Installation Flexibility, in addition to being used in mechanically attached assemblies, all Sure-Weld TPO membranes can be fully adhered, providing greater wind uplift resistance.